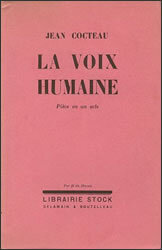 L'ÉDITION ORIGINALE DE CET OUVRAGE A ÉTÉ TIRÉE A PART, SUR PAPIER IMPÉRIAL DU JAPON A 25 EXEMPLAIRES NUMÉROTÉS DE 1 A 25, ET 3 EXEMPLAIRES DE A A C, HORS COMMERCE ; SUR VERGÉ DE RIVES A LA FORME 110 EXEMPLAIRES NUMÉROTÉS DE 26 A 135 ET 10 EXEMPLAIRES DE D A M, HORS COMMERCE ; ET SUR VÉLIN PUR FIL DU MARAIS 525 EXEMPLAIRES NUMÉROTÉS DE 136 A 660 ET 25 EXEMPLAIRES MARQUÉS H.C., HORS COMMERCE. Copyright © 2006-2015 NipponArt. Tous droits réservés.